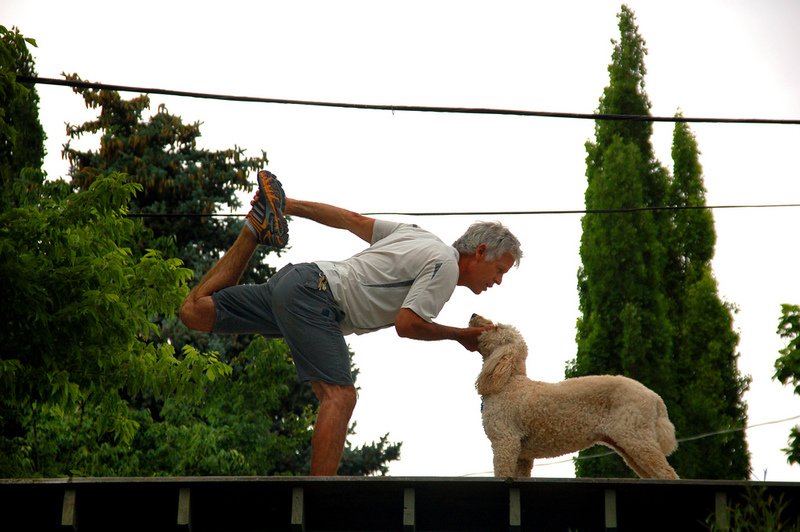 “Doga” is a great way to combine your love for your dog and your love for yoga. Yoga has gone to the dogs — literally. “Doga” was created by Suzi Teitelman, a yoga instructor from Jacksonville, Florida. She says there’s nothing wacky about doga. It’s simply regular yoga that incorporates pets. In other words, you work out while bonding with your pet. Not having had the benefit of attending a doga class myself, I talked with psychotherapist and yoga teacher Nichole Vykoukal of Austin Doga to learn more. Your dog shouldn’t need specialized training to do yoga with you, because he isn’t actually going to be doing the poses — you are. Suzi Teitelman, in an interview with the Today show, says you can do the exercises just about anywhere, from your floor to your couch. You won’t need any special equipment — just patience and a good sense of fun. In the Downward Dog position, your dog can lie beneath you. In the Plank position, your dog can be positioned directly before you — or on your back, if you happen to have abs of steel. In the Easy Pose, sit cross-legged as you normally would. 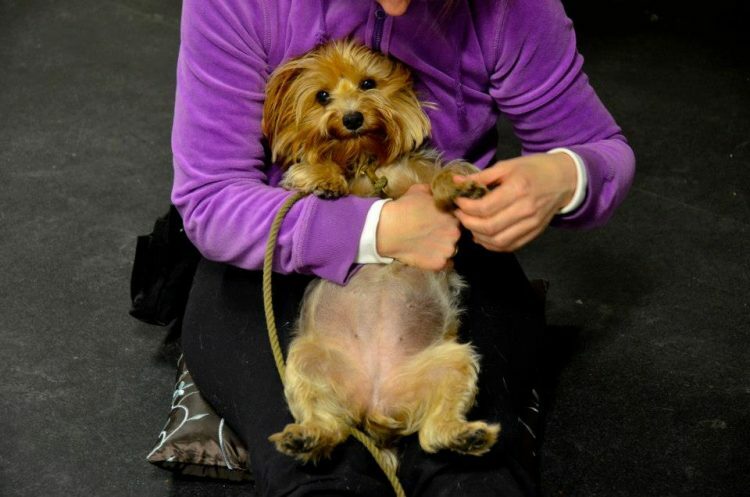 Instead of placing your palms on your thighs, reach forward a bit and place them on your dog. Just remember not to put your body weight on your dog — they’re only there to help you maintain balance. Allow them to stand far enough so that you get a good stretch in order to reach them. Then, during your stretch, give them lots of patting and rubbing — they’ll love that. As fun as this all may seem, some critics say yoga is intended to be a deeply spiritual practice — and that adding dogs trivializes it. You want my opinion? I think that both the benefits of spending time with our pets and the importance of good overall health in people and dogs are well documented. Doga combines both these things in a way that allows us to bond with our dogs while becoming stronger, fitter, healthier and happier. Looking for a way for you and your dog to get healthy together? Check out the FitBark 2, the highest-rated dog health monitor in the market. It’s a small, colorful device that you attach to your dog’s collar. The FitBark 2 monitors activity levels, quality of sleep, distance traveled, calories burned, and overall health and behavior 24/7. Battery life is an unbelievable 6 months, so you can worry less about recharging and more about bonding with your pup. It fits dogs of any size, and it loves the water as much as your dog does! Learn why everyone is thrilled about the FitBark 2 here.